This is an Oldsmobile SSI center cap with a 2 1/2 inch back inside diameter. These Olds center caps feature the classic Oldsmobile Rocket logo in red over a black background. These authentic Oldsmobile hubcaps are designed to fit our Oldsmobile SSI wheels. Please check your actual wheels required cap fitment size. 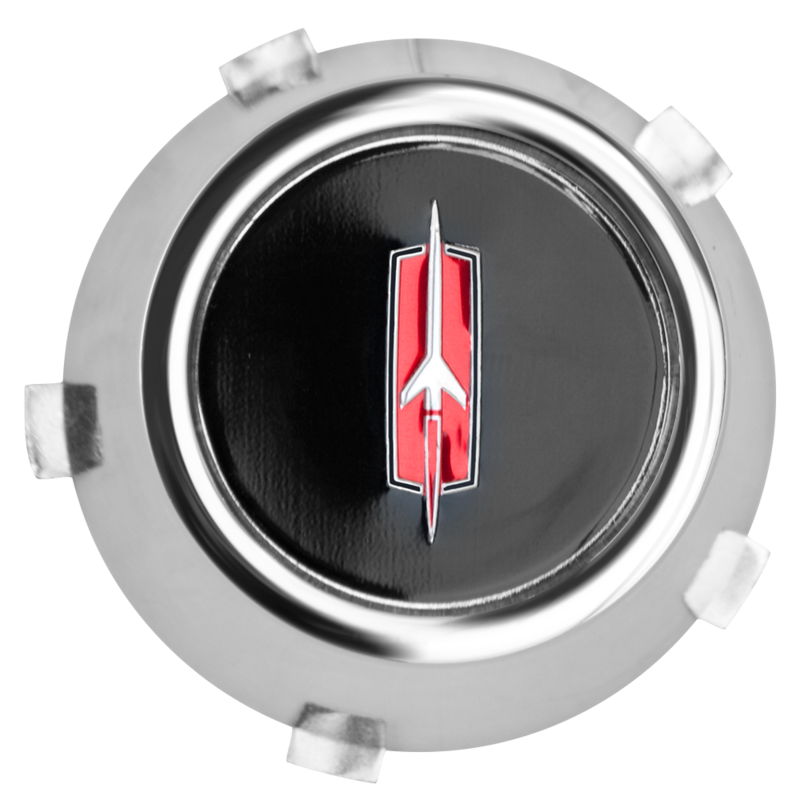 Does this Oldsmobile center cap snapon or bolt on.? The cap is bolted on using retaining hardware that is included with the cap purchase. i am interested in your Oldsmobile SSI 2 1/2 inch cap but i need to know is the 2/12 inches the entire width of the cap from one side to the other and how deep is it.. This cap is 1.9" tall and measures 2.65" wide at the base.